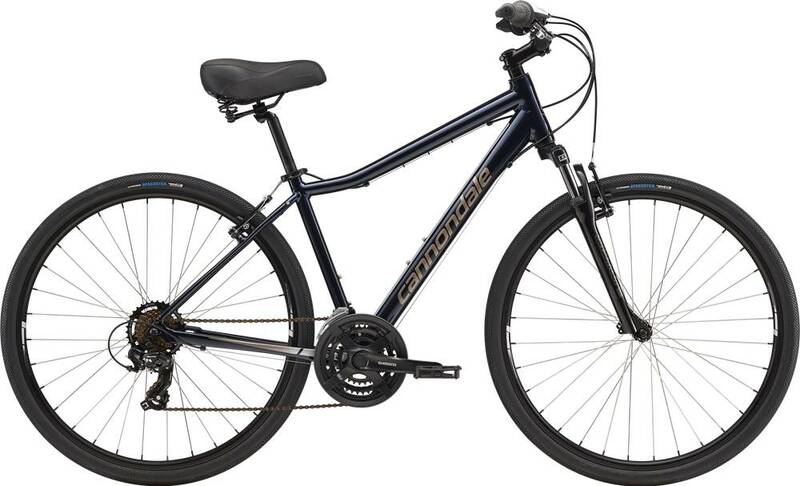 Cannondale’s 2019 Adventure 3 is a modest component level aluminum frame fitness bike. The 2019 Adventure 3 is easier to ride up hills than similar bikes. The 2019 Adventure 3 won‘t keep up with similar bikes while riding downhill or sprinting. Oh snap! This frame was drawn from the actual bike geometry measurements. Roll over the table below to highlight frame dimensions.